Non-PA members can attend for $20 (which we will refund if you become a member with PA). 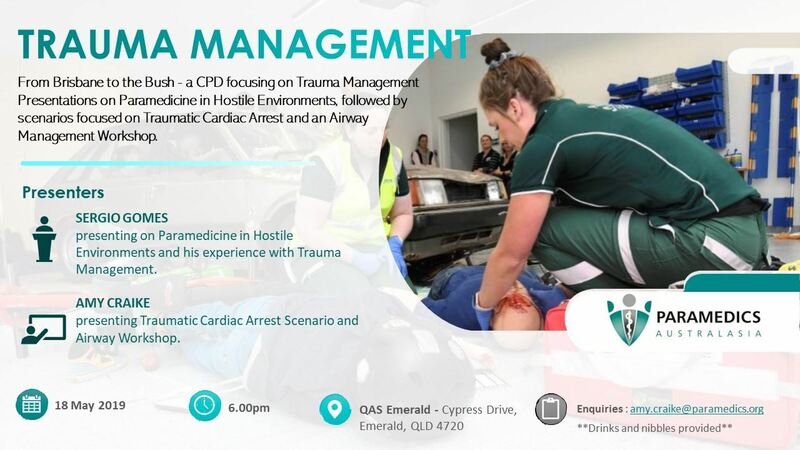 For membership details please email Amy Craike amy.craike@paramedics.org. Non-PA members can attend for $10 (which we will refund if you become a member with PA). This event has been re-convened to this new date following the December in December postponement due to the bushfires. Register now to secure your place!